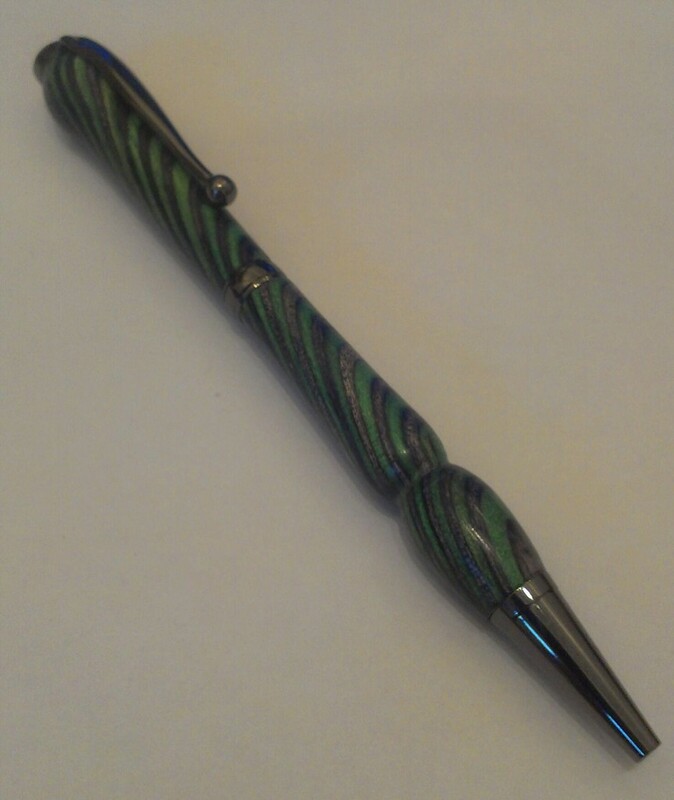 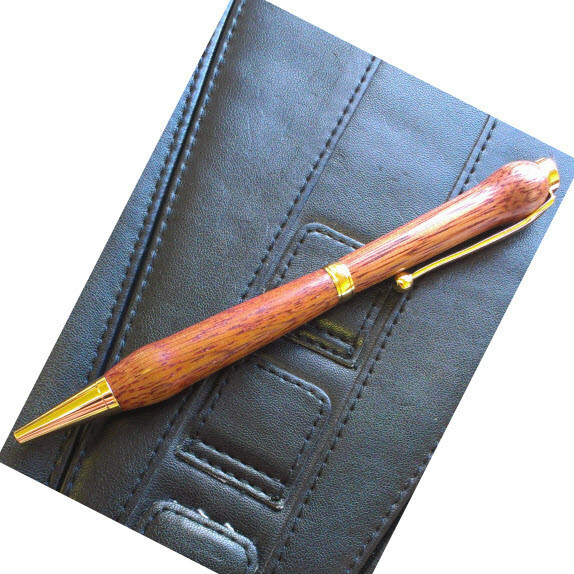 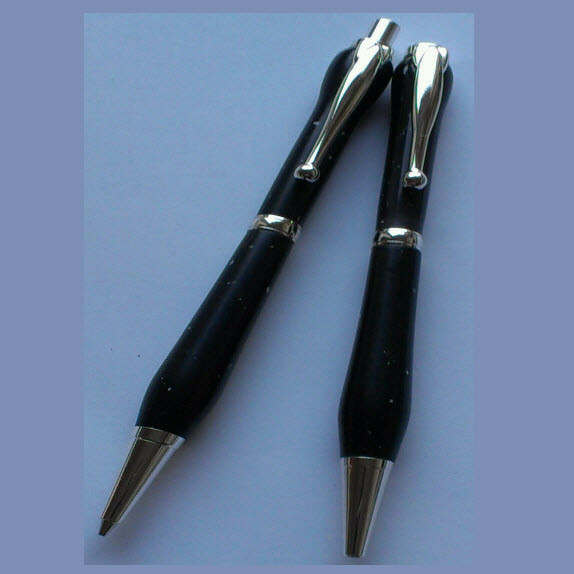 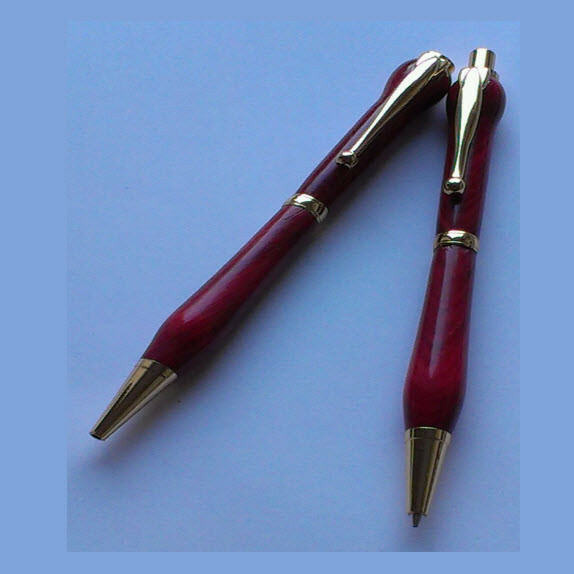 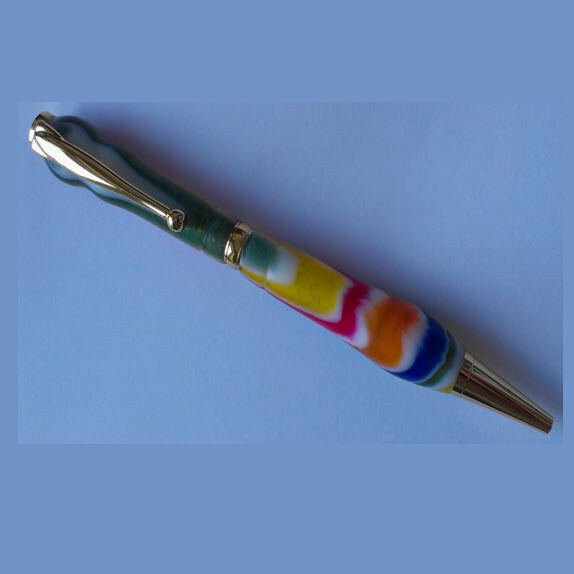 All pens are hand turned and polished, the shapes are a feature of the material being worked at the time, Although I do like to play with the shapes to make each pen individual. 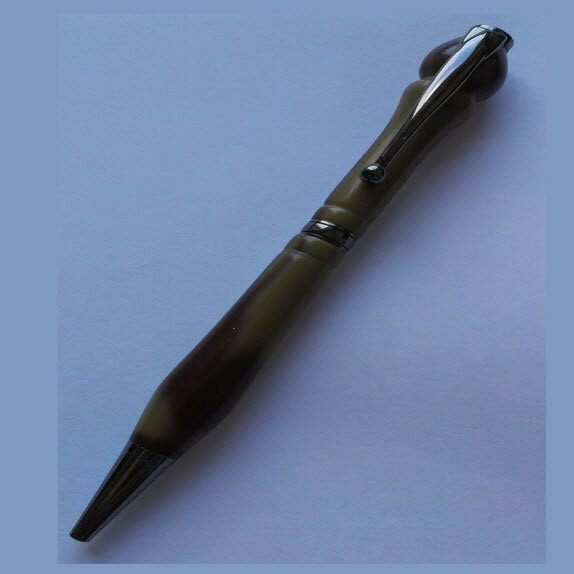 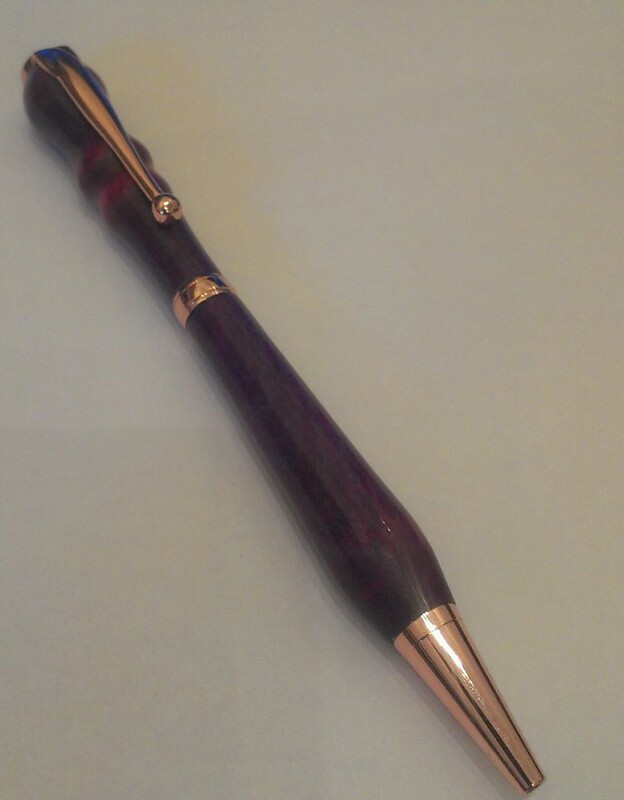 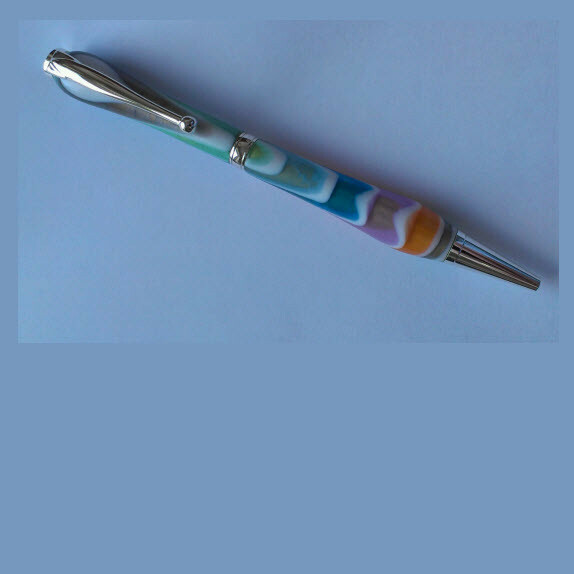 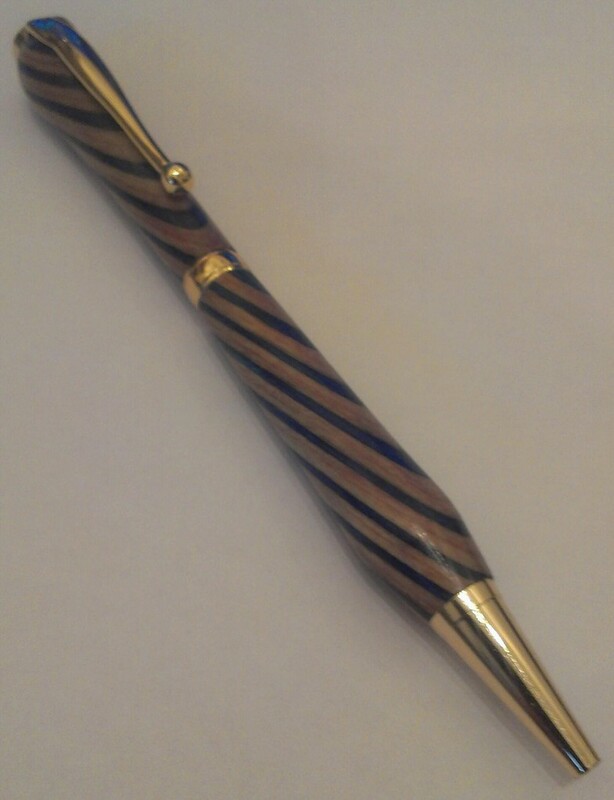 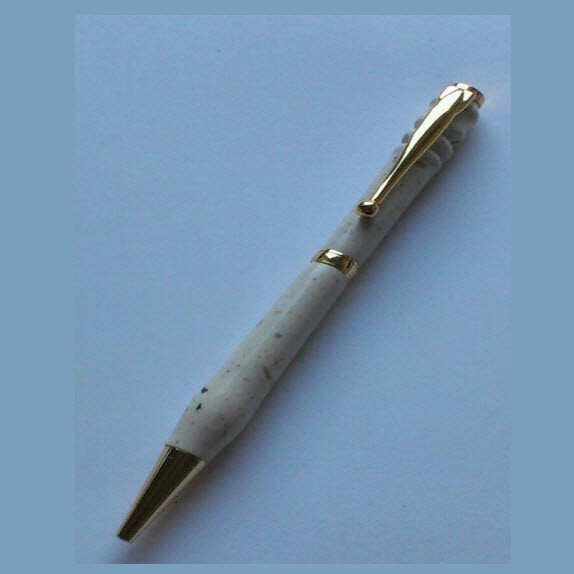 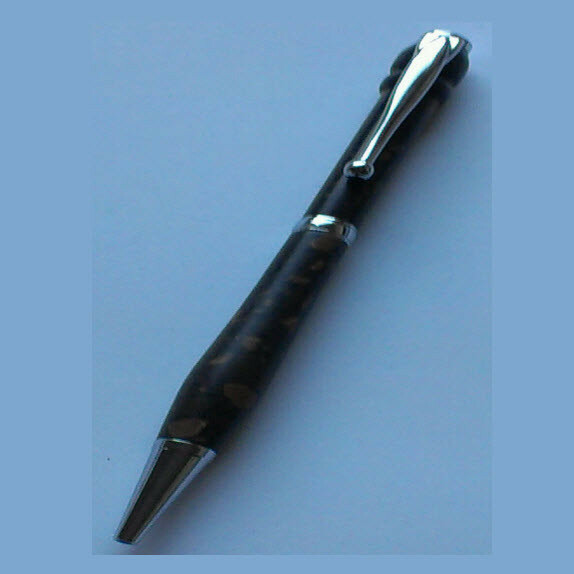 The fittings come in a range of colours (Gold, Silver, Chrome, Brass, Gun Metal) which one goes onto the finished pen is very much dependant upon the colour of the finished blanks. 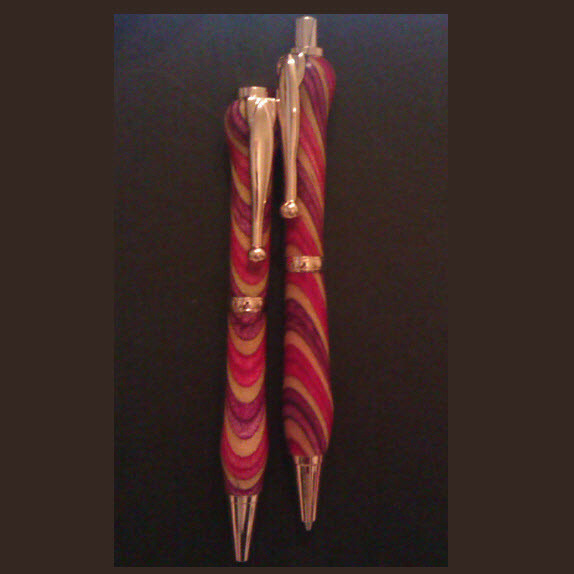 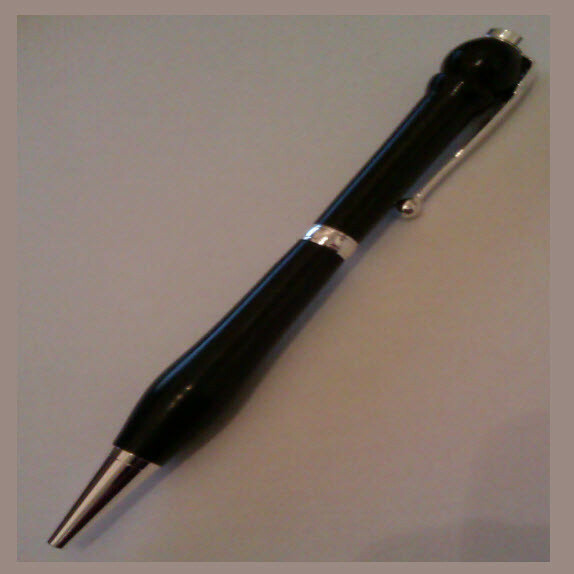 This is something I do not really know until I have finished polishing the turnings.